A special light to shine for a loved one so dearly missed. 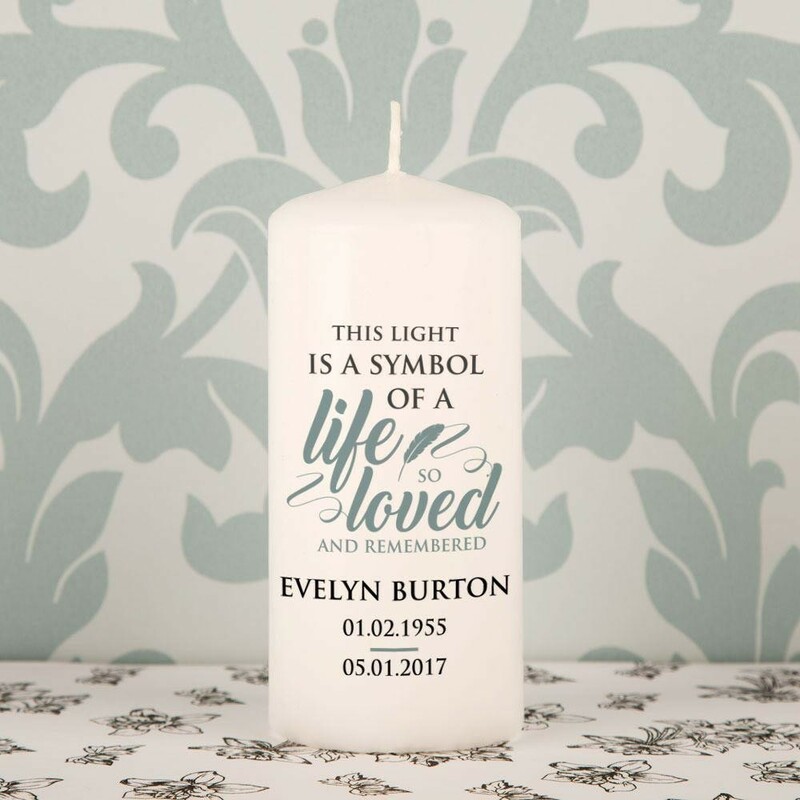 No matter where this memorial candle sits in the home, it will shine a light for a lost one, and be a constant reminder of their life. 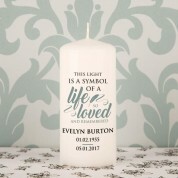 The white pillar candle features the wording “This light is a symbol of a life so loved and remembered”. 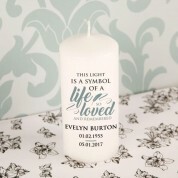 The loved ones name and special dates are featured below. A delicate feather flows from the text. 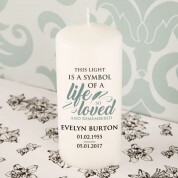 This candle makes a thoughtful gift for a friend or family member. It can be lit it at a memorial service or funeral.